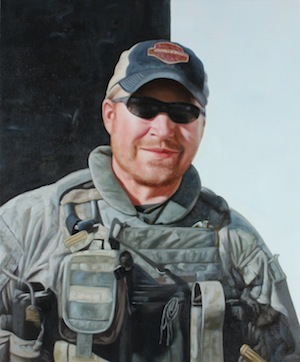 TSgt Phillip A. Myers was killed April 4 near Helmand province in Afghanistan by a makeshift bomb. He was EOD, Explosive Ordnance Disposal, and had disarmed over 80 IED's during this deployment. The arrival of his remains at Dover Air Force Base in Delaware the next day was the first to be covered by the news media since Defense Secretary Robert M. Gates lifted a 1991 ban on news coverage. Phillip disarmed IED's daily, up to 8 a day. It takes more than an ordinary man to disarm bombs, let alone on a daily basis. He saved numerous lives every day he was deployed. He always put others first, by taking care of his airmen and then himself, but also by disarming bombs to save others. He would also disarm IED's while being in very dangerous situations and never once did he turned around. His actions saved the lives of countless Coalition Forces and local British Nationals. We are so proud of him. This is our HERO and he will never for forgotten!